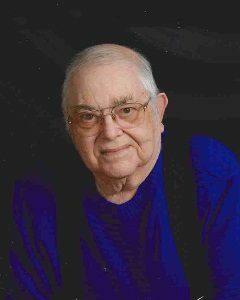 David Wagner, age 80, of New Auburn, Minnesota, passed away Wednesday, November 7, 2018, at his home in New Auburn. Memorial Service will be Saturday, November 10, 2018, at 11:00 A.M. at Immanuel Evangelical Lutheran Church in New Auburn with interment at a later date in Oakland Cemetery in Hutchinson. Gathering of Family and Friends will be Saturday, November 10, 2018, from 9:30 A.M. until the time of the service at the church. David Willmer Wagner was born on July 8, 1938, at his grandparent’s farm in Winthrop, Minnesota. He was the son of Henry and Regina (Schuette) Wagner. David was baptized as an infant on July 31, 1938, by Rev. Kowalski at St. Paul’s Lutheran Church in Stewart, Minnesota, and later confirmed in his faith as a youth on April 6, 1952, by Rev. A. Schira at Peace Lutheran Church in Winthrop, Minnesota. He received his education in Winthrop, Minnesota, graduating with the Winthrop High School Class of 1957. On April 29, 1967, David was united in marriage to Marjorie Pomplun by Rev. Walther Kallestad at St. Paul’s Lutheran Church in Gaylord, Minnesota. David and Marjorie made their home in rural Brownton and New Auburn, Minnesota. Their life was blessed with three children, Jonathan, Jeannine and Daniel. David and Marjorie shared over 51 years of marriage. David was a farmer and later worked as a mechanic for Uecker Implement and Big Stone Canning Company, retiring in 1998. He was a member of Immanuel Evangelical Lutheran Church in New Auburn. David also was a former member of New Auburn Lions and the New Auburn Fire Department. David enjoyed hunting, fishing and his favorite activity, camping. He loved spending time with his friends and family, especially his grandchildren. In the later years he especially enjoyed the antics of Jack and Ace, the furry members of the family. The last couple of months he got great joy out of scooting around town on his mobility scooter. David passed away peacefully in his sleep on Wednesday, November 7, 2018, at his home in New Auburn, Minnesota, at the age of 80 years, 3 months and 30 days. David was preceded in death by his Parents, Henry and Regina Wagner, Father-In-Law and Mother-In-Law, Edward and Ella Pomplun; Brother-In-Law, Earl Petzel; Sister-In-Law, Luanne Pomplun. Deepest sympathy to you and your family. David always has a smile on his face, and today he is smiling in heaven and will be for ever warm since I know he did not cold weather.